Amit Kshirsagar is an avid sports enthusiast since his early life. He has represented his college at the state level badminton during college years. In order to overcome a chronic health issue, he took to running since 2014 and ever since has consistently developed this art to be able to engage himself in endurance races now. 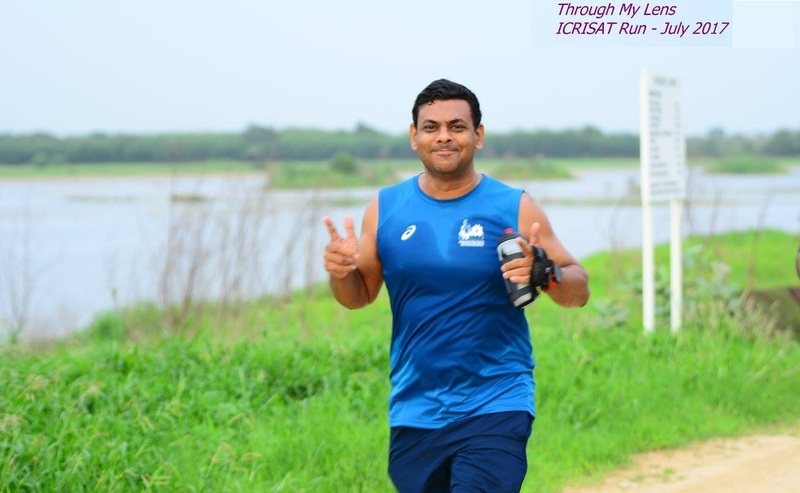 Though a relatively new entrant in the area of running marathons, so far he has run total 10 half marathons including the Airtel Hyderabad Marathon (2014-2016) and Edinburgh Marathon (2017), and two full marathons – Bangalore (2016) and Mumbai (2017). He is also an enthusiastic cyclist to have biked 10000 KM so far and completed two 200 KM brevets. This year he is running the Airtel Hyderabad Full Marathon to raise donations for the Mukti Community Donation Funds. (MCDF). The thought of amalgamating the activities of philanthropy and leisure started taking shape in my mind lately after having witnessed the enormous work that has yet to be achieved in the area of social welfare in our country. Though numerous efforts are taking place, yet much remains to be done in the field of rural development, basic education and women empowerment. It is an unceasing process and a social obligation of the better privileged of the society. Though many of us regularly contribute to several welfare funds, I felt that a laborious activity like running marathons for a social cause would give me a finer sense of altruism and would connect me with the social needs in an enhanced manner. With this aim, I am running the Airtel Hyderabad Marathon on August 20, 2017 for raising donations for Mukti Community Donation Funds. These funds are utilized for running the NGO’s vocational courses for training women for self-employment. Name of my campaign is #MuktiDonathon. I am undergoing a meticulous training plan for running this marathon so that I am able to withstand the rigours of the run. This is my first fundraising event and therefore, I have kept a realistic goal of raising INR 25000. I appeal to you all to contemplate donating to my campaign so that I can make this endeavor a success. I need your support and encouragement and look forward to your help in realizing this vision.